Obama In Talks To Produce Shows For Netflix, Report Says : The Two-Way The former president is in negotiations to produce a series of high-profile shows for Netflix, according to The New York Times. The number of episodes and show formats have not been decided. 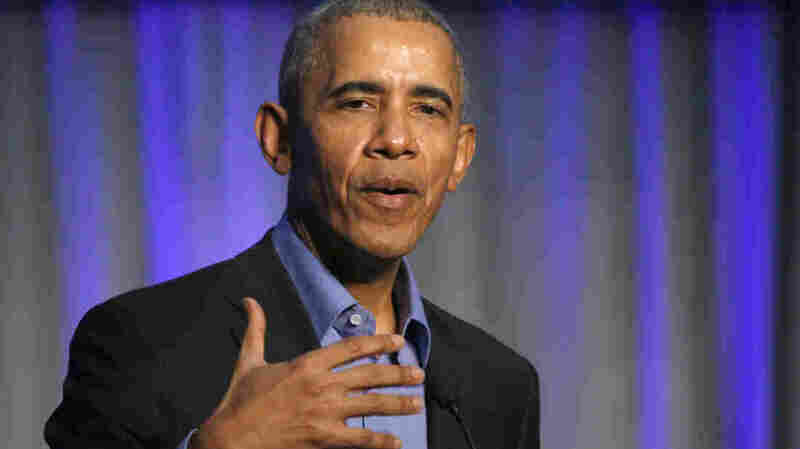 Former President Barack Obama is in negotiations with Netflix to produce a series of high-profile shows, according to a story in The New York Times. "Under terms of a proposed deal, which is not yet final, Netflix would pay Mr. Obama and his wife, Michelle, for exclusive content that would be available only on the streaming service, which has nearly 118 million subscribers around the world. The number of episodes and the formats for the shows have not been decided. "Mr. Obama does not intend to use his Netflix shows to directly respond to President Trump or conservative critics, according to people familiar with discussions about the programming. They said the Obamas had talked about producing shows that highlight inspirational stories." Multiple show concepts are under consideration. In one possible show idea, Obama could moderate conversations on topics that dominated his presidency — health care, voting rights, immigration, foreign policy, climate change — and that have continued to divide a polarized American electorate during President Trump's time in office. Another program could feature the former first lady on topics, like nutrition, that she championed in the White House. The Obamas could also lend their brand — and their endorsement — to documentaries or fictional programming on Netflix that align with their beliefs and values. It's unclear how much the Obamas would be paid. Executives from Apple and Amazon, which have their own streaming services, are said to have expressed interest in talking with the former president about content deals. "President and Mrs. Obama have always believed in the power of storytelling to inspire," Eric Schultz, a senior adviser to the former president, told the Times Thursday. "Throughout their lives, they have lifted up stories of people whose efforts to make a difference are quietly changing the world for the better. As they consider their future personal plans, they continue to explore new ways to help others tell and share their stories," Schultz said. A Netflix spokesman declined to comment to media organizations. Netflix reports that they have more than 117 million subscribers, 55 million of whom are in the U.S.